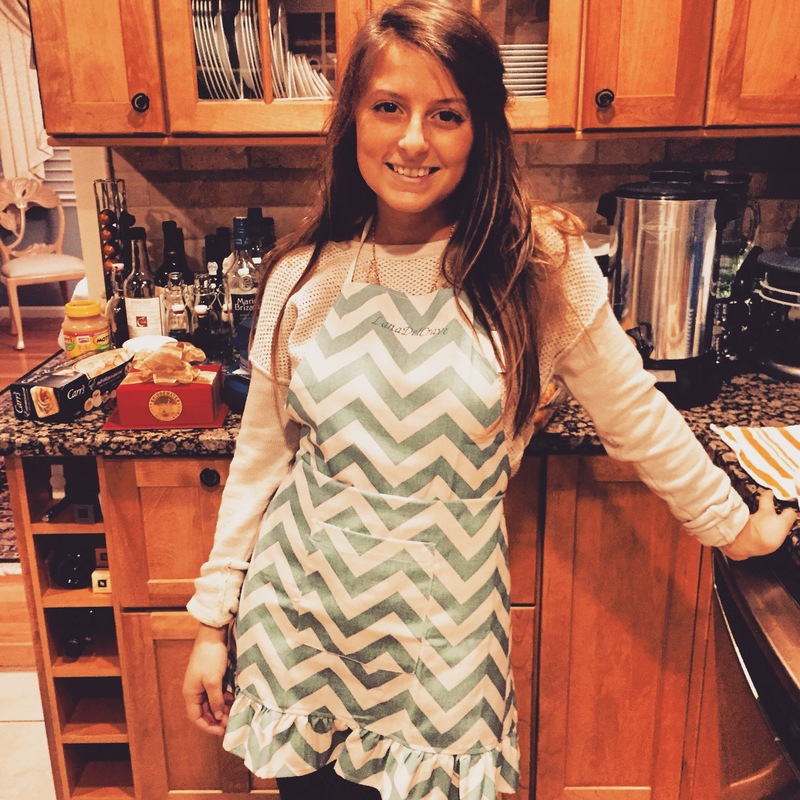 With my New Year resolution in full swing, I’ve been scavenging Pinterest for delicious Paleo dinner ideas and happened to stumble across a meatloaf recipe. I was skeptical, until I realized I was planning to make mashed cauliflower and meatloaf would be the perfect compliment. 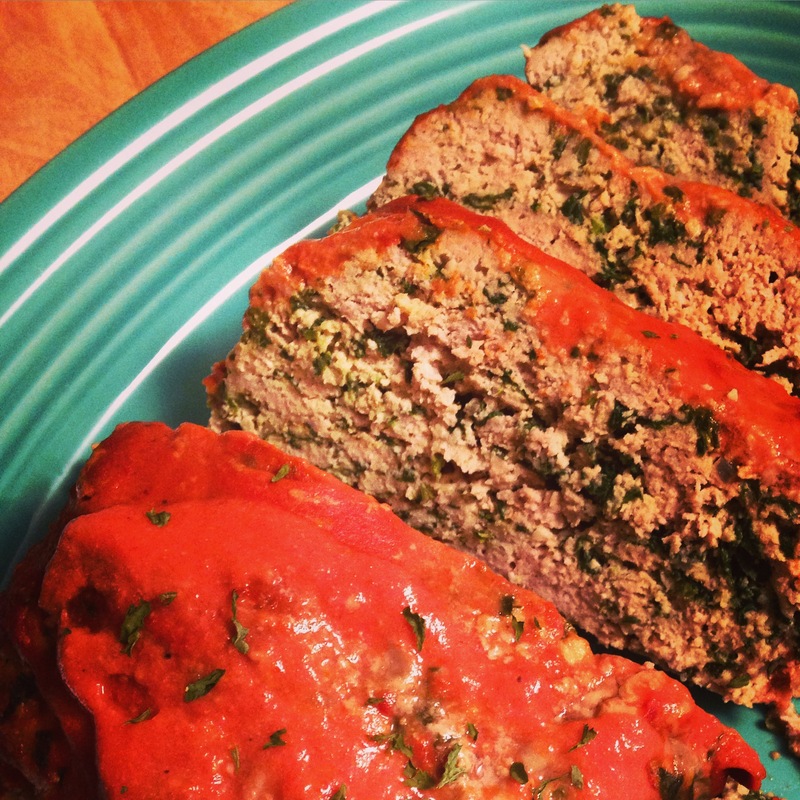 Making my own adjustments to Paleo Newbie’s Zesty Meatloaf, I decided to give this dish a shot and was pleasantly surprised. I’ll absolutely remake this recipe again, especially if there’s mashed cauliflower involved! Make ahead meal. It took about 20 minutes during my lunch hour to prep this dish and it was totally worth it. Coming home to ready-made meal with only a few steps before eating is a great feeling! If you plan to make this dish ahead, be sure to stop once you form the loaf on the baking sheet. Put a piece of plastic wrap atop the baking sheet then store in the fridge until you’re ready to bake. Meat and vegetables. 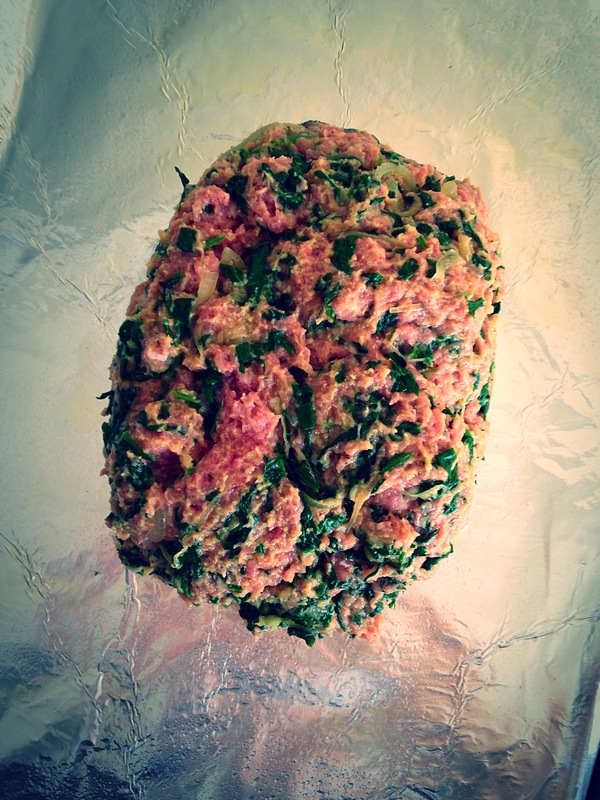 I made my meatloaf with ground turkey, but feel free to swap for ground chicken, beef, pork… whichever you fancy. Just be sure to adjust the cook time! Also, I used spinach because it’s delicious and I happened to have some in my fridge. If you have kale, red peppers, or other types of veggies, this is definitely a good way to sneak them into a recipe. Ground meat can be temperamental. To keep a soft and juicy consistency, it’s best to touch the meat as little as possible. Don’t forget to add your ground meat last, then mix with your hands as little as possible until just combined. This will give you the perfect meatloaf-y consistency. Tomato sauce can have sugar! Meatloaf is typically made with a ketchup based sauce, which has loads of sugar. To avoid this, I decided to go for regular, canned tomato sauce. I realize most tomato sauces have added sugar to take away from the acidity tomatoes can have, so I was sure to read the labels. 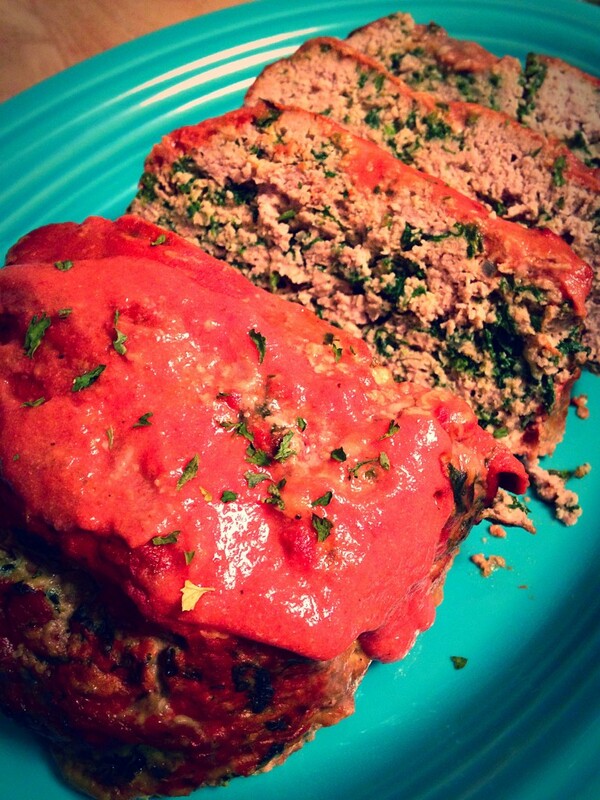 I used Muir Glen, no salt added tomato sauce for the sauce on my meatloaf, because it was both salt AND sugar free. Preheat the oven to 350 degrees. Line a baking sheet with tin foil, and drizzle a bit of EVOO to keep the meatloaf from sticking. Set aside. In a pan atop the stove over medium heat, add the EVOO and sliced onion. Cook until the onion is soft/translucent. Add the spinach, garlic, dried herbs, and cayenne pepper. Saute until the spinach is wilted and flavors are incorporated, about 2-5 minutes. Remove from the heat and let cool. In a large bowl, add the eggs and almond flour. Whisk until combined. Mix in the cooled sauteed vegetables. Add the ground turkey, salt and pepper, and mix using your fingers until just barely combined. Form a 'loaf' place atop the greased baking sheet. Set aside. Make the sauce in a bowl by combining the tomato sauce and dijon mustard. Pour most of the sauce atop the meatloaf & spread using either a brush or the back of a spoon. Bake in the preheated oven for 1 hour & 15 minutes. 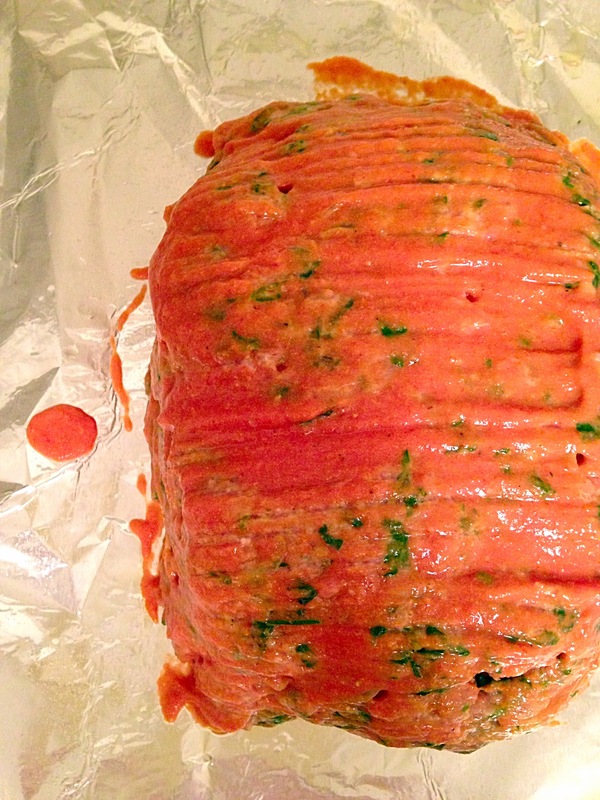 Remove from the oven and add the remaining sauce and a sprinkle of parsley atop the meatloaf. Let rest for 10-15 minutes before slicing. Serve with mashed cauliflower!